An old Pullman Palace sleeping car kit by Roundhouse. 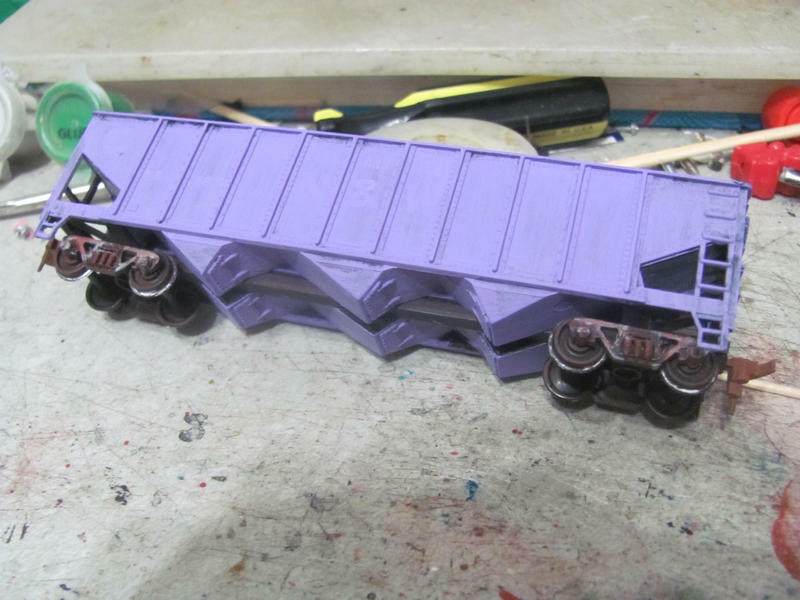 I've painted and weathered the bogies and the undercarriage detail parts. A Tyco caboose I'm working on repainting and detailing. 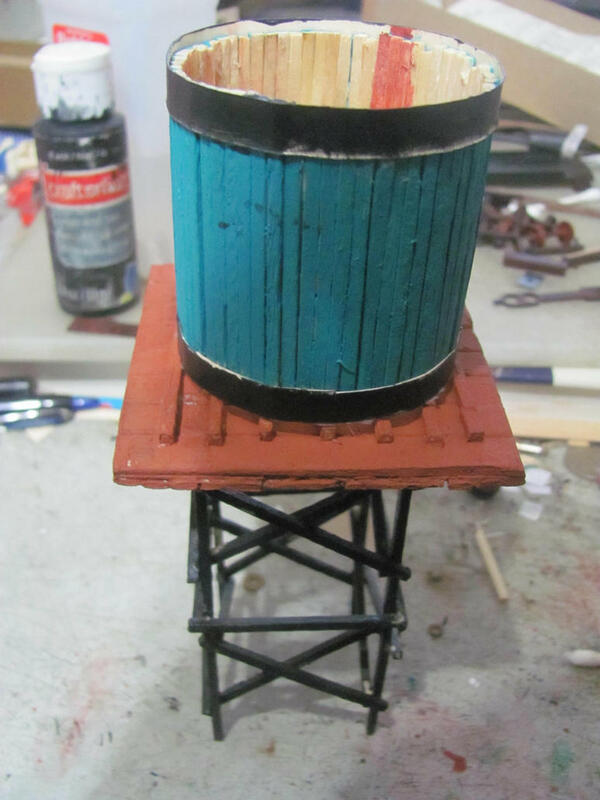 I'm going to have to re-do some of the exterior paint, it seems. Sigh. Last edited by ZeldaTheSwordsman on Fri Jan 29, 2016 3:32 pm, edited 1 time in total. We will get the photo access again, it's a right old pain in the bum !! Well, I've got these rolling. They're not done yet, of course. How lovely that photo inserts are working again (knock on wood). 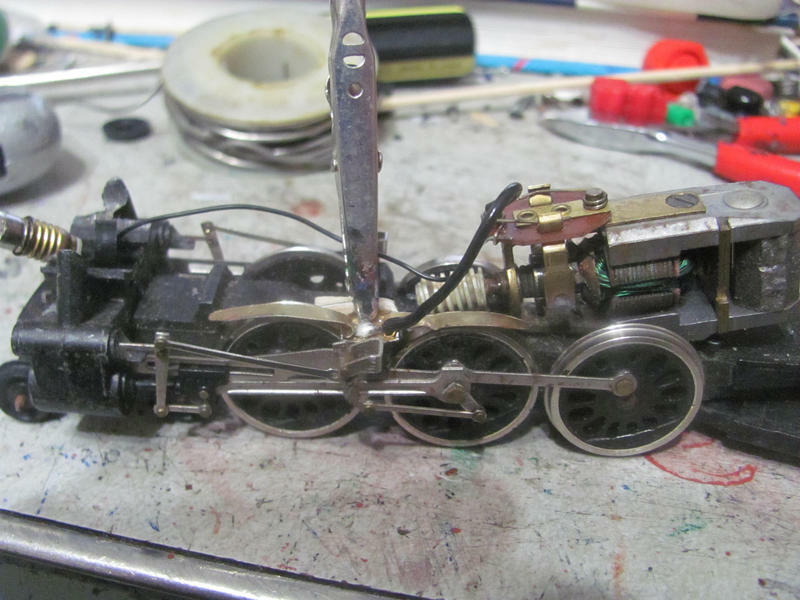 A lot of American steam loco models, especially older ones are wired to pick up power on one side from the loco, and the other side from the tender. 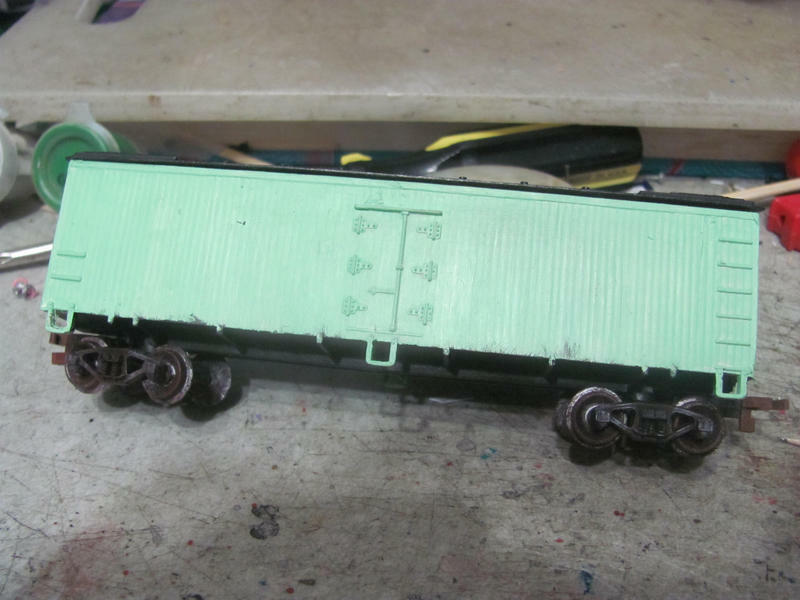 But this loco was missing the tender when I bought it and wiring it to pick up both sides from the loco will mean that I don't have to worry about making sure any replacement I build or buy has tender pickup. Fairly simple job, really, I just used a block of wood to make an insulated mount and cemented a brass paper fastener on, then wired that to the motor. 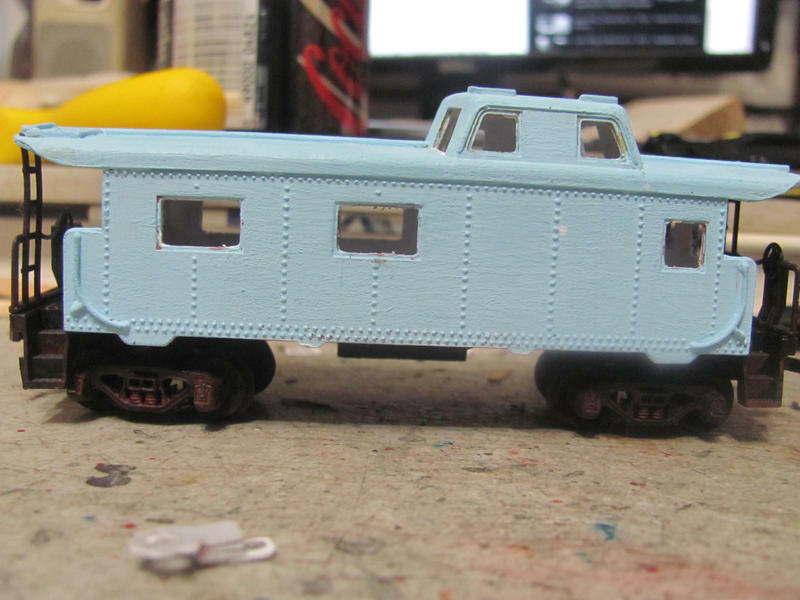 More work-in-progress pastel rolling stock, a hopper and a refrigerator car. 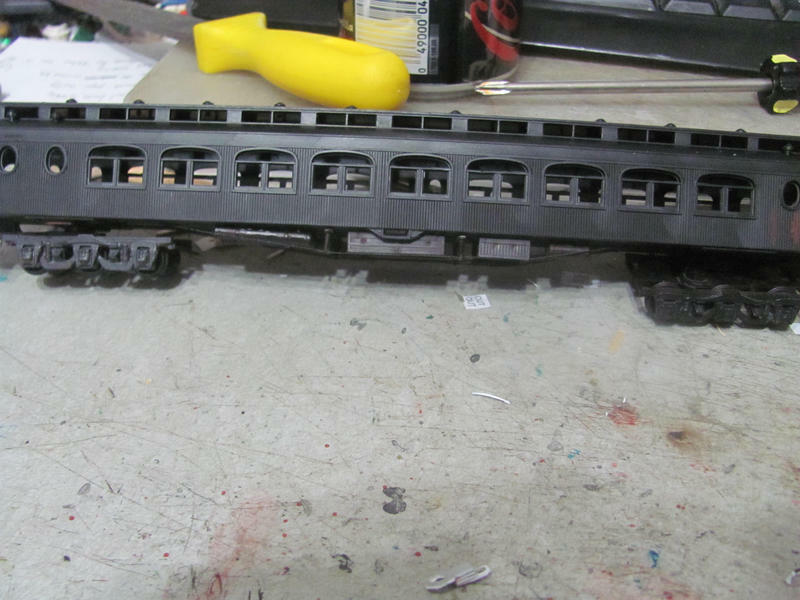 The painting is going much more smoothly on these than on that caboose (again, knock on wood). How do the wheels look? I suggest you get rid of those horrible X2F couplers! 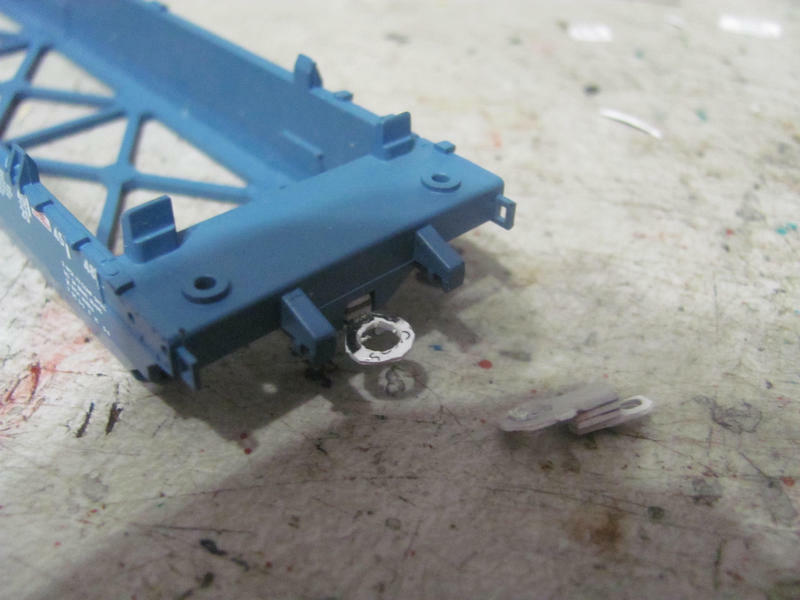 You will find good Kadee (or plastic clones) replacements that just drop right into the draft gear boxes on your cars! Contrary to what Model Shillroader magazine would like people to believe, horn-hook couplers are not demonic menaces that should never ever be used and cause endless derailment and magically uncouple around curves. They're just not the most realistic-looking and can't be magnetically uncoupled the way operating model knuckle couplers can. That being said, I do plan on replacing at least most of them, and I even have eight pairs of Kadees standing by. But I have 17 locos and cars that either have X2Fs or have nothing because I had originally planned on Anglicising them and took the knuckles off and they either got lost or broken or lost the blasted spring over the years. Or in the case of the well car set (which only counts as 1 car for the purposes of end couplings) and the pair of shorty full-dome cars, because I bought them as just the shells. So I have to prioritize which cars get replacements first. In the mean time, I've been painting and weathering the horn-hooks so that they're at least quasi-presentable. 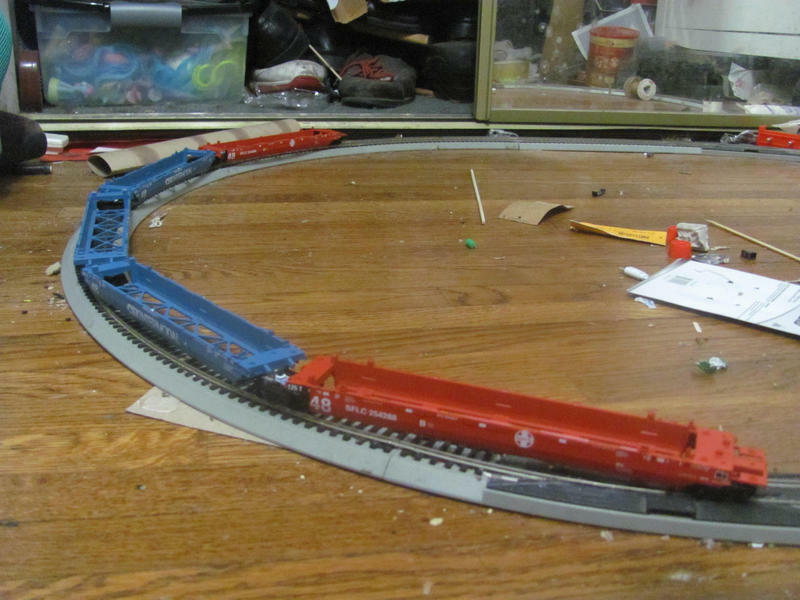 Here, have a photo showing the progress on painting the Mantua loco. The unusual main color of pink was inspired by a Lionel set (known as "Lady Lionel" when it originally came out, and "Girl's Train" on reissues) that featured a pastel pink steam locomotive. 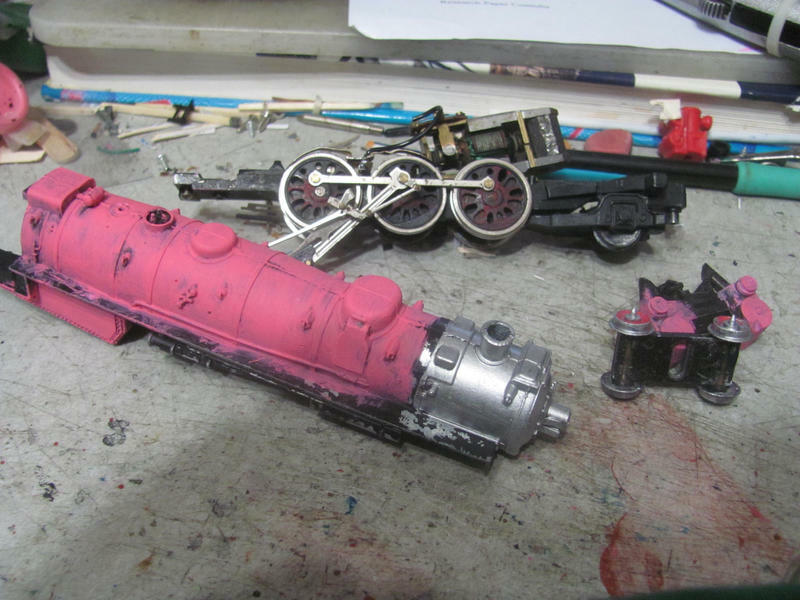 I went with red wheels because that was the common color for wheels on American steam locos before Vanderbilt black took over, and it seems to go better with the pink than leaving the wheels black. Whatever became of these projects, the Pullman in particular? I bought one a year ago but made a right hack of it, though I'm tempted to buy another one I've seen lurking on eBay and will actually make a better go of it! Your projects look just as hare-brained as mine, I like it! Hopefully we'll see a return to your projects in due course (she says, replying to a two-year-old thread) and a very bold pink liveried 'Big Boy'.